La Americana Gourmet breads feature ‘No added preservatives’ intended to preserve the aroma and texture of bread as if it were baked at home. Wholegrain carbohydrates are the best in terms of combining healthy carbs with fiber, antioxidants, essential vitamins and minerals.They also prevent you from feeling bloated after a meal. These products will be now being available in retail stores across Jalandhar, Ludhiana, Chandigarh tricity and Delhi & NCR. BONN is a quality driven FMCG Company which was founded more than three decades ago in 1985 by the visionary Mr. Manjit Singh. The brand ‘BONN’ has become synonymous with bread & Bakery in many cities in North India where the company enjoys dominant market share. The head office is based in Ludhiana. 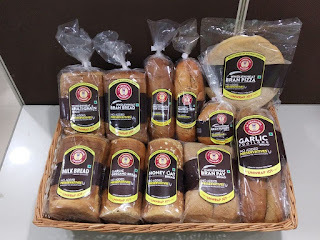 The Group produces a range of food products including Breads, Biscuits, Cakes, Rusk and Cookies that are sold in India and exported to about 55 countries in over three continents. The company, winner of National Award for Quality Products from the government of India, has certifications like HACCP by ‘DNV’ (a certificate body of Netherlands) and ISO 9001:2000 certifications by ‘DNV’. It is also approved by Bureau of Indian Standards. The company has 12 manufacturing plants spread all over north India. The company is fully integrated having its own fleet of more than 500 trucks and a factory for packaging material. BONN Group is pioneer in starting production of cookies on an industrial scale in India. The company is deemed to become the most preferred FMCG Food Brand with Pan-India presence in the near future with breads, biscuits, Cake, Rusk and other products. Company has successfully launched La Americana Burger QSR Chain.